You don’t have to go on a cruise to cruise through the Seders. You don’t have to be on a boat to sail through the Haggadah. 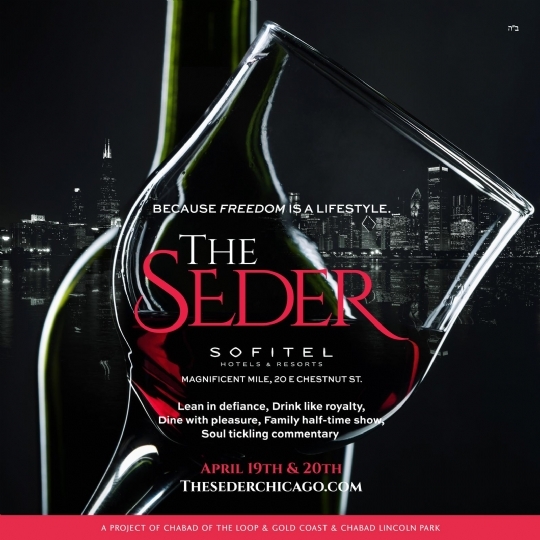 Just join the Seders in the heart of the Gold Coast, a couple blocks from the lake and Class everywhere. The tree lined streets with their outdoor Cafes of this Chicago Landmark neighborhood will provide you and your family with memories UNFORGETTABLE!